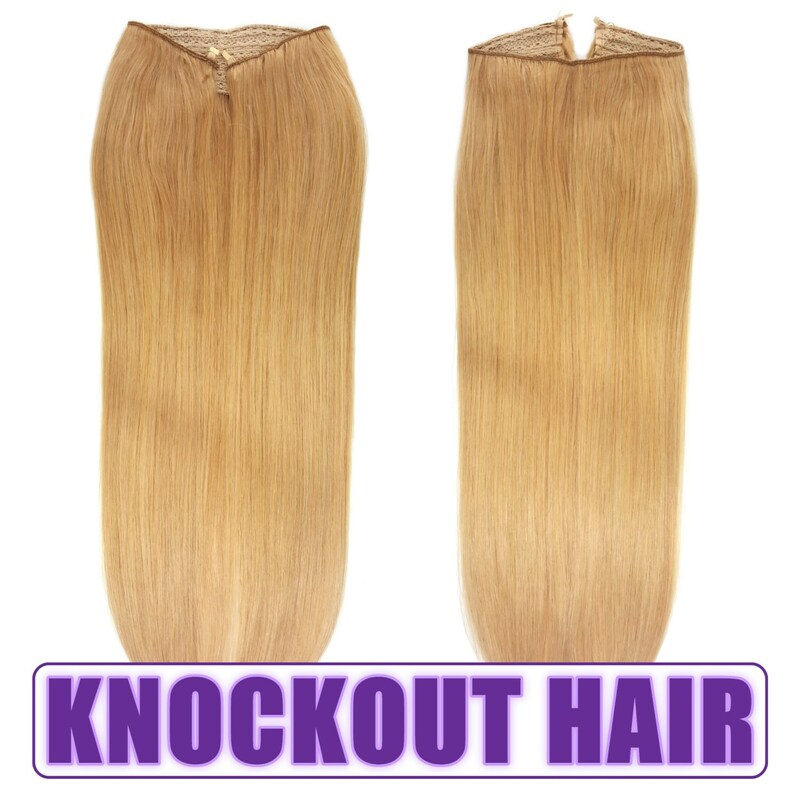 Want Beautiful Stunning 100% Remy Human Hair Extensions? 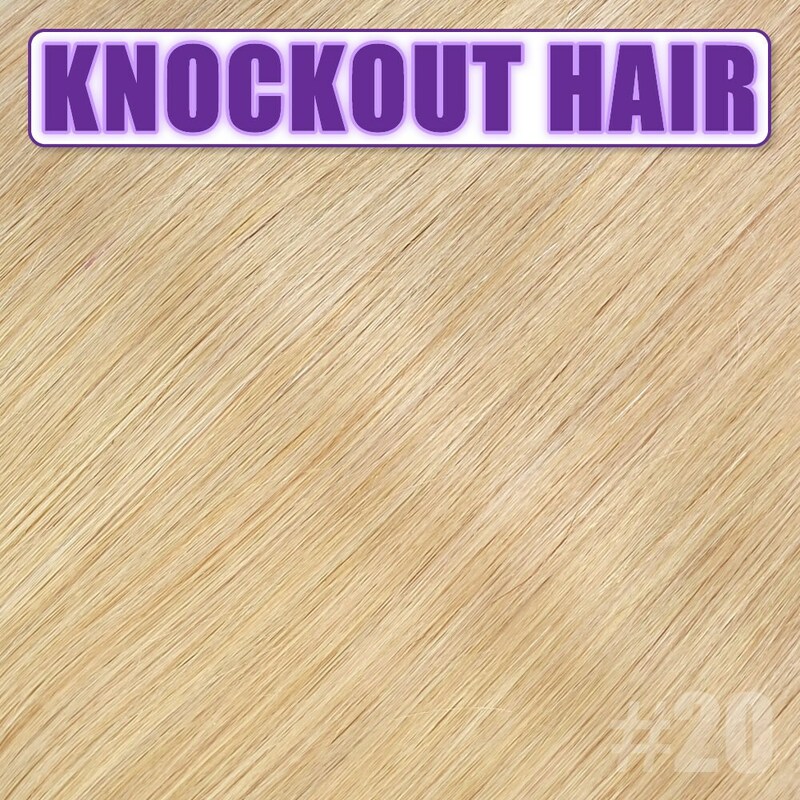 Our beautiful Knockout Hair in remy human hair extensions are every girl’s “must have” fashion accessory that allows you to transform your look without the need to spend hundreds of dollars or spend hours in the salon or have the troublesome upkeep of permanent extensions. 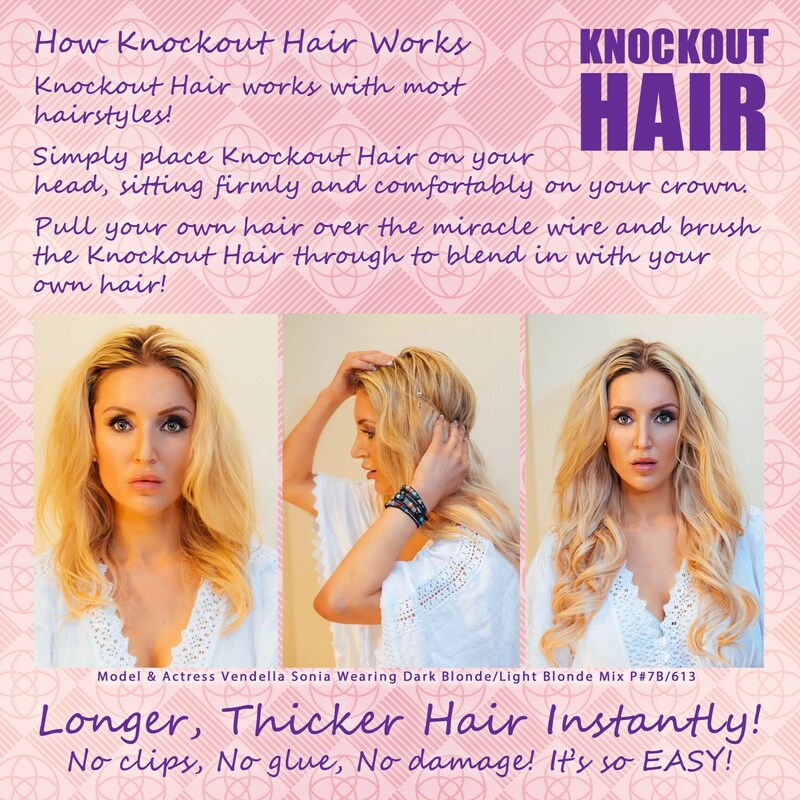 The best thing about our hair extensions is that they are easily applied and removed by yourself at home in seconds, so whenever the mood strikes, you can have instant long gorgeous and thick hair at your fingertips. 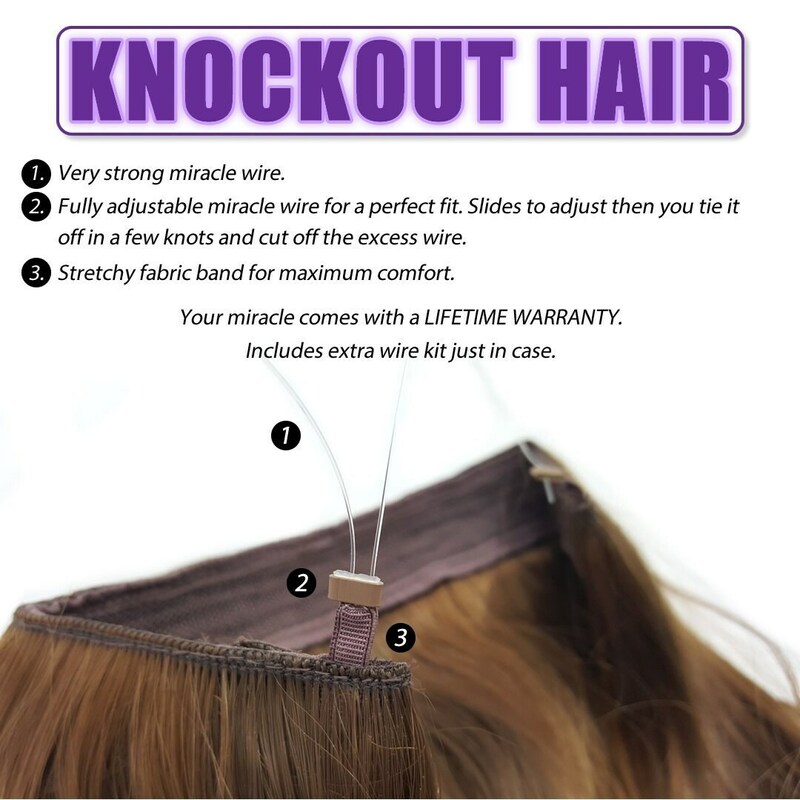 Because they are made from 100% genuine human hair they can be styled, straightened, curled and even colored so you can keep up with the latest fashion and beauty trends. 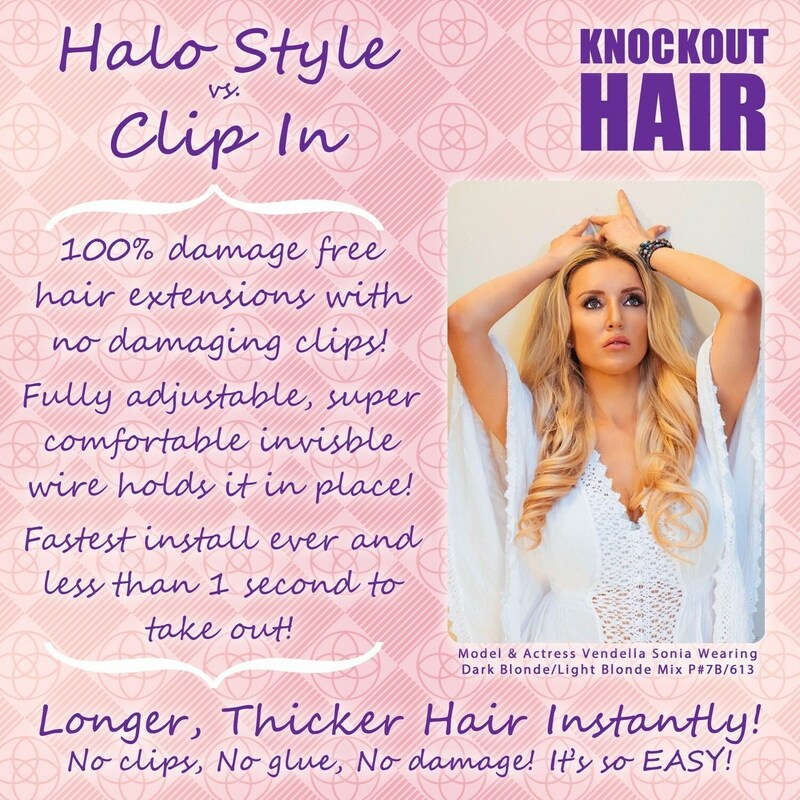 Our extensions are perfect for parties, weddings, formals and special events but are also fantastic for when you just want to change up your look when you go out with your friends or out on that special date. If you need help matching your hair color feel free to send us a message. Thanks!